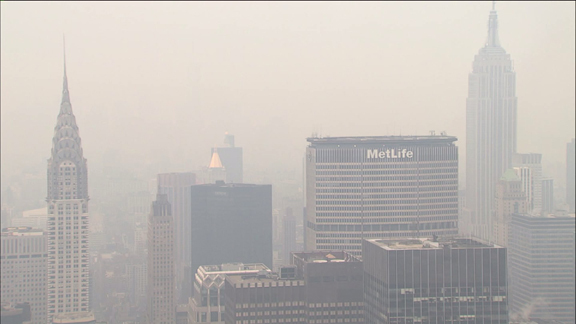 An air quality alert is in effect for the New York City area today. This means our local outdoor air contains elevated levels of pollutants. Under the Clean Air Act, the EPA is responsible for monitoring air pollution across the United States. Calculated on the Air Quality Index (AQI), a standardized indicator, the agency’s daily reports focus on the health effects people may suffer as a result of breathing polluted air. Its scale runs from 0-500 with values above 100 considered to be unhealthy. Increasing AQI values correlate to higher levels of pollution and an escalating risk to public health. The five major air pollutants measured on the AQI are, ground level ozone, particulate matter, carbon monoxide, sulfur dioxide, and nitrogen dioxide. These pollutants often build to unsafe concentrations when local weather patterns allow air to become stagnant from a lack of wind. 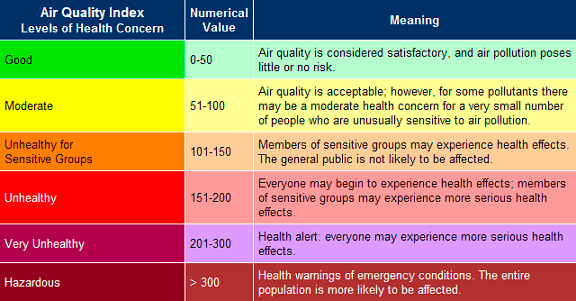 The AQI value in New York City today is 105, which references a spike in ground level ozone. This degree of pollution will mainly impact people with pre-existing respiratory conditions.